On 1st March we had our first York: A Walk on the Wild Side history walk led by local radical historian Paul Furness. As we have a second chance to catch the walk coming up on 5th April, I won’t ruin it by chucking in spoilers here but suffice to say the aim of the walk is to tell histories rarely publically shared and which unsettle any cosy notion of what York is. The tagline Paul and I came up with, when trying to capture this was: ‘Radical and raucous York: a place of protest and repression and a place to have a good time’. But without any revealing any secrets, I wanted to try and capture the very interesting informal discussions we had as we walked between stops and in the pub afterwards. One of the first things one of the group said was that ‘it’s a really interesting walk because it felt like real stories, like history you can smell’. This led on the discussion about how little York’s history is taught in schools, with mention of teenagers who were born in York yet still don’t really know about railways and chocolate. As reflected in the title of this article, there was a strong sense that the importance of the walk lay in the idea that there ‘wasn’t just one narrative of the city’ and the way Paul had show how grounded and specific local histories where connected internationally. Reflecting on the idea that York’s history gets dominated by certain greatest hits – such as the Roman and Vikings – a member of the group commented that ‘history can be come folklore very quickly. It become kitsch’. This flowed into a point made by another member of the group that, sure, there might a sense of the ‘greatest hits’ but what exactly, in a concrete way, is presented about the Vikings and the Roman. There is a danger, the whole group agreed, of even York’s greatest hits being quite content-lite. As older histories dominate York’s public histories, Paul’s walk made it clear that the city is missing more recent histories. 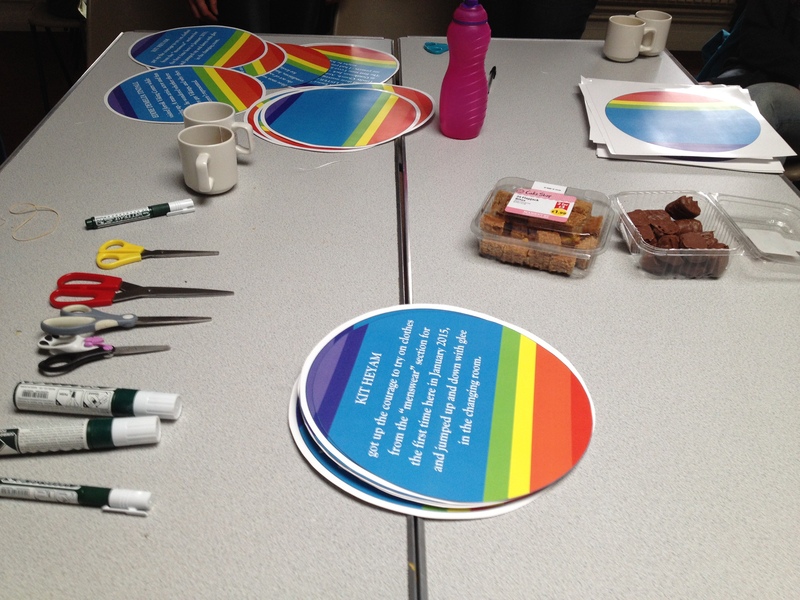 One of the group was a volunteer at York Museum Trust and mentioned a new initiative using objects to enable people to share stories – precisely focused at histories in living memory. Yet there was a sense from others that those professionally responsible for our history and heritage haven’t been connected enough locally to make really good decisions. 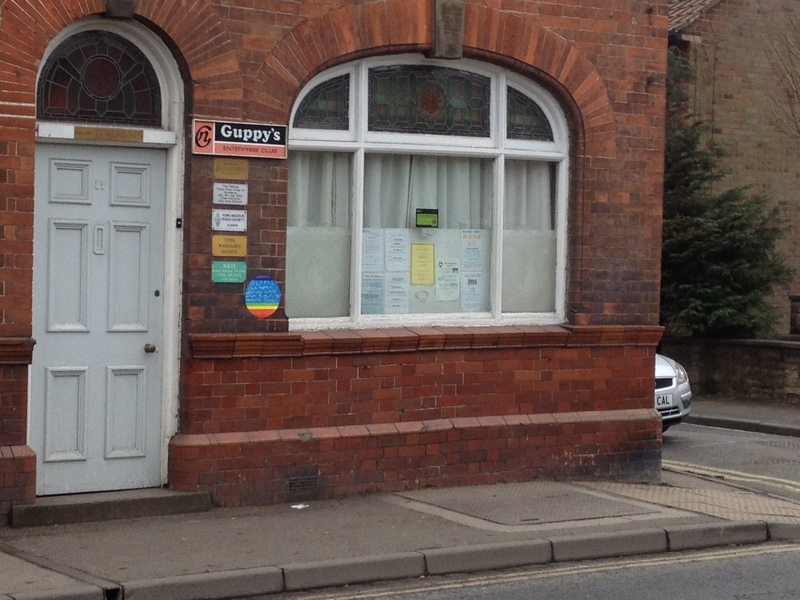 One example given followed the closure of the Irish National Club in Walmgate. On the front of the Club had been, entwined, a Yorkshire white rose and shamrock, yet that wasn’t spotted and is now lost. Yet, for one member of the group, there seemed to be a wider point. How does history relate to life in York – rather than just that preserved by professionals and sent to museums? And another noted, where are the young people in York – ‘I can’t see the voice of the young here. I see a lot of old things’. There was a strong sense that York needed to be and feel like a living city. There was a danger expressed by one that the city centre felt less and less like that: ‘What does York need – more coffee shops?’ An argument was made that we’re always saying what a lovely place York is – but maybe there is too much focus on what it has (certain histories and medieval town centre) rather than what it doesn’t (the example given was an arts centre). One member of the group who has been involved in developing the ‘York’s Jewish History: Community and Identity through the Centuries’ walk suggested ways in which alternative and plural histories might become taken seriously. She noted that although Visit York had originally been cautious about holding the Jewish history walk leaflets – they realized how important the city making this kind of statement was to Jewish visitors and Visit York do distribute the leaflets now. The significant example of ‘York’s Jewish History: Community and Identity through the Centuries’ walk takes me to something one member of the group (who wasn’t able to join us for the pub discussion) said to me as we went between stops. I think she’d felt there had been a bit too much moaning on our part about alternative and not-greatest-hit histories being ignored by the Council, English Heritage or York Museums Trust or in the decisions made about which commemorative plaques to put up on York’s walls. She argued that we were probably wrong to think of it as ‘decision making’. It was more likely, she said, just some people who had an interested and pushed for certain histories rather than a conscious decision to exclude others. In other words, she advised, ‘do something – not just moan about it’! 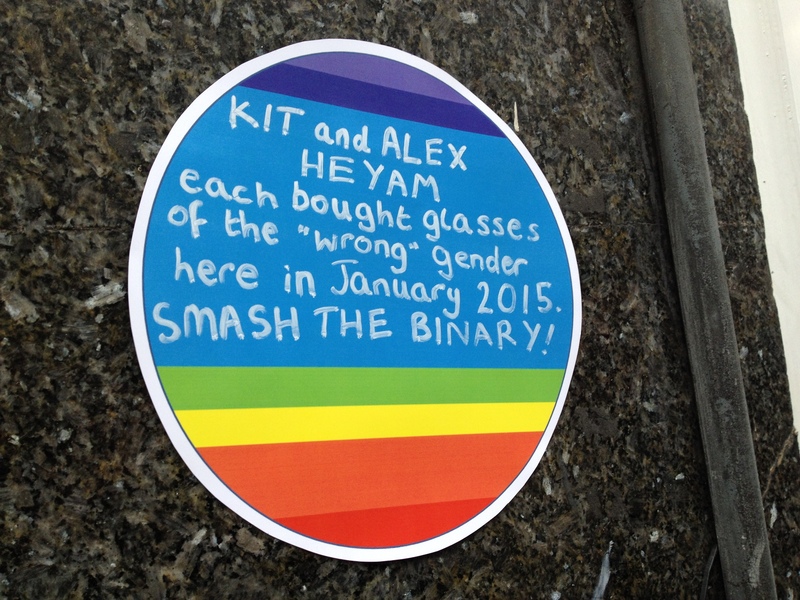 · What local history is taught in York’s schools and how might local groups be able to help with this? · How can we develop histories for visitors which tell multiple stories about York? Practically speaking, what is the role of plaques and walks leaflets in this? 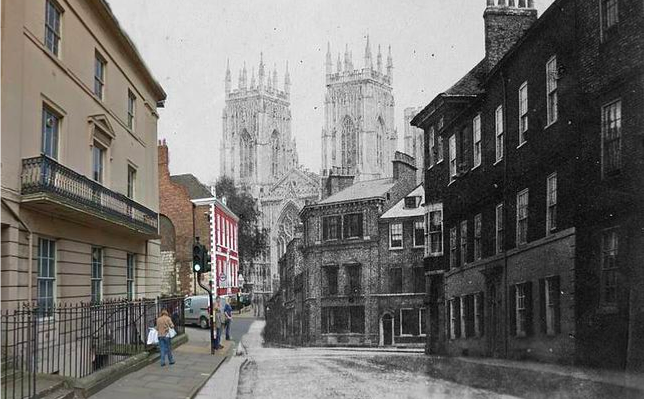 · How might a more plural understating of York’s past help us actively balance tourist and local use of the city centre? How has use of the city centre changed over the past 20 years? How might knowing York is more than pretty streets help keep York ‘living’? 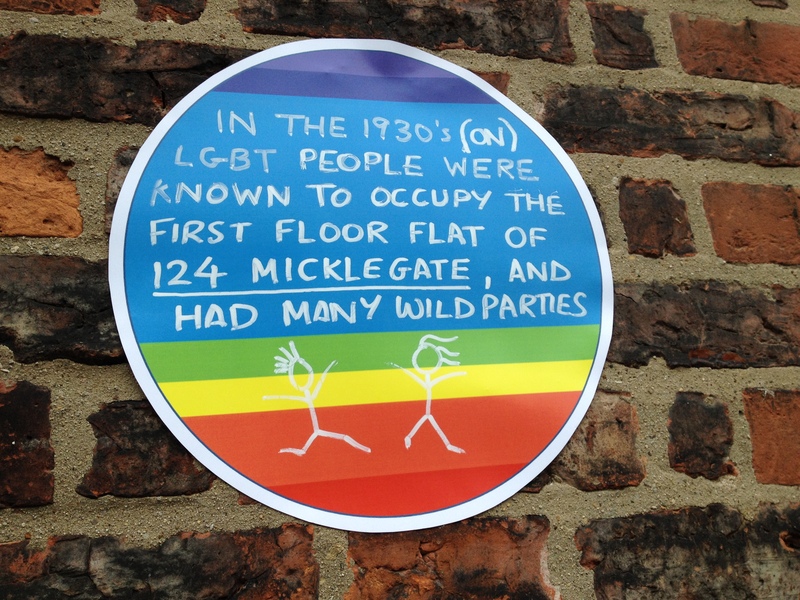 · To what extent can we think of York’s public history as being a result of ‘decision making’ – maybe it’s just well connected people pushing their passions? Which makes you wonder, how this might be democratized either through D-I-Y action, activism to influence decision makers or through key agencies consciously-developing structures of participation? · How might bodies such as City of York Council/York Museums Trust/English Heritage make it feel more possible for any of us make contact when we think something important might be lost – like the Irish National Club example? And in terms of action – we do have some things to ‘do’ coming up. 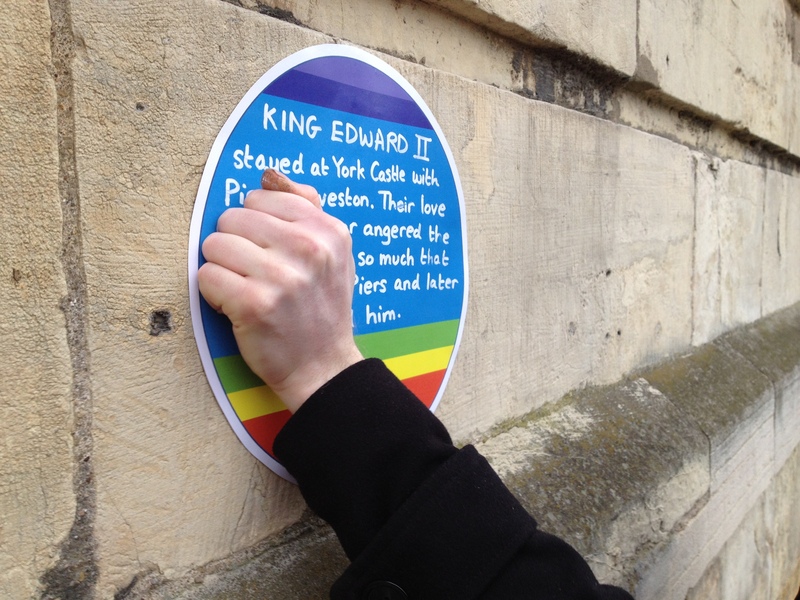 Perhaps York’s Guerilla Plaques Day on 10th May will be a precursor to all sorts of other histories and the many different stories of York being very publically visible in the future? Second change to catch the walk! A second chance to catch ‘Walk on the Wild Side’. 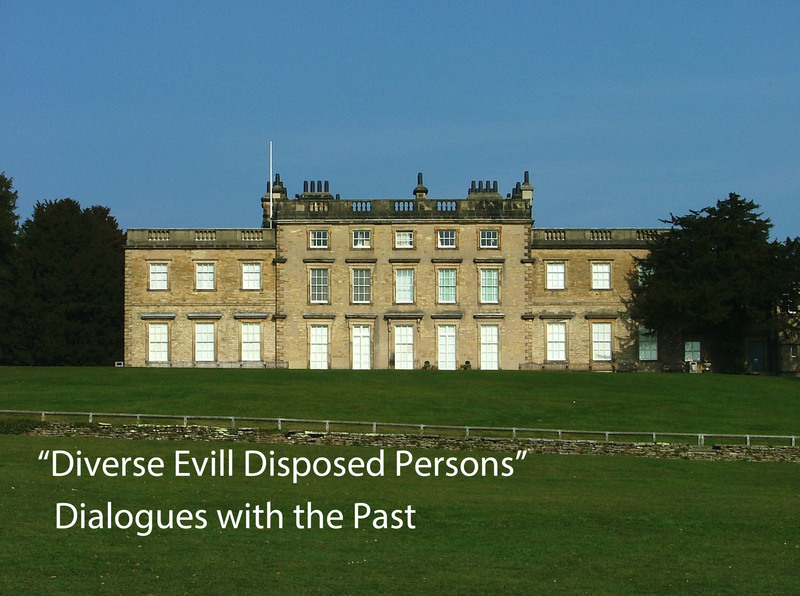 Walk with us as we explore the histories of York rarely heard about. Of protest, of raucous parades, of gay love and of militant suffrage. 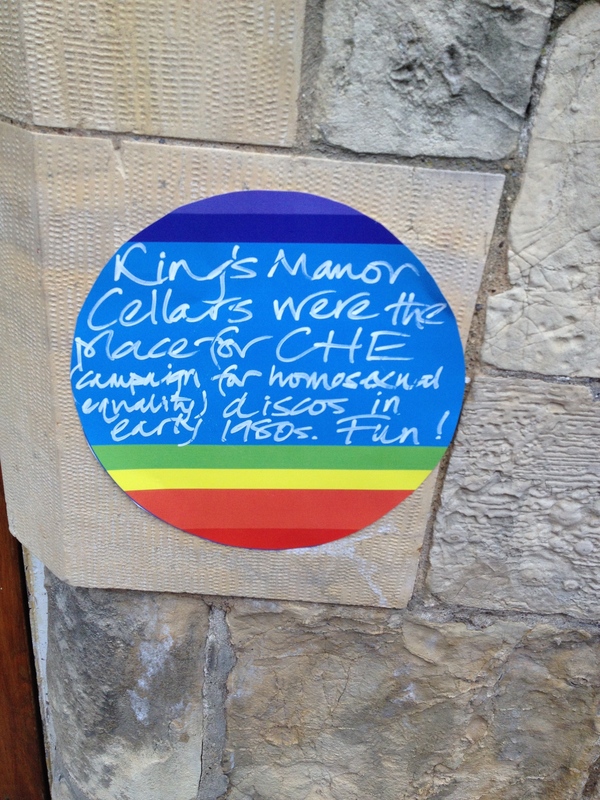 We will then head to a Pub to reflect on these histories as part of York: Living with History Inquiry. Drop in exhibition and event. Find out more about what was here before and debate what should happen next. We’ll be sharing our work so far on the histories and uses of Stonebow House and hoping you’ll share your own memories and opinions. Join us for a walk led by Paul Furness which will tell histories of York rarely heard about – a city of protest and repression…. and a city to have a good time! The aim of the walk is to use alternative histories of York to open up debates and discussions around the York: Living with History research questions. A walk might seem like an unusual method for an inquiry – but our aim is to explore alternative pasts as a way of opening up debate about York’s alternative futures…(whether around planning decisions, the tourist economy or how to enrich understandings of York’s history in schools and for visitors). All very warmly welcome for our first York’s Alternative History open meeting of the year. Much to discuss not least our York’s Alternative First World War answer to Gove’s recently badly informed rant about the first world, our involvement in working out and then shaping how decisions about heritage are made in York and what we might do for our slot at the IPUP seminar series on 22nd January (6pm, King’s Manor, Seminar Room K/111). Golden Ball, Wednesday 29th January 2014, 7.30pm. 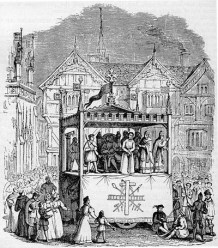 Today York’s cycle of Mystery Plays attract tourists from across the world. 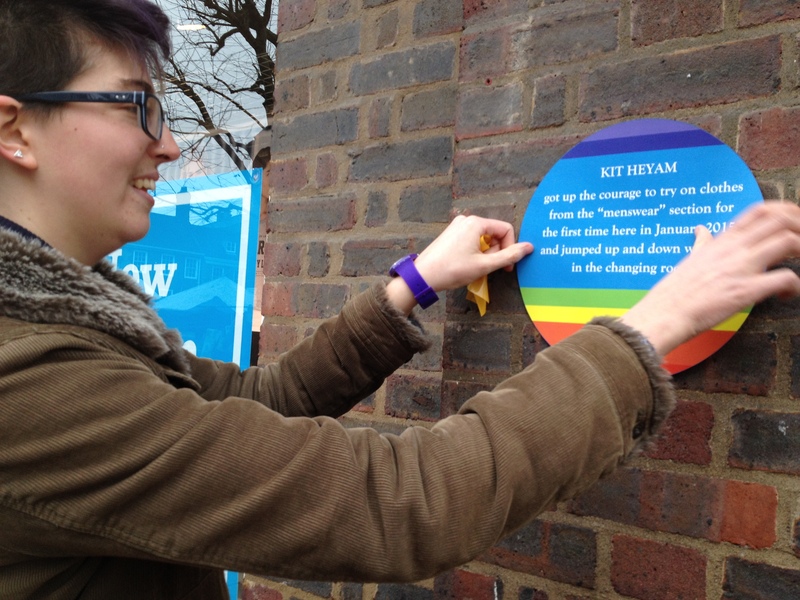 They are held to signify the origins of theatre and to mark an important stage in British cultural history. In what promises to be another thought provoking discussion John Westmoreland (History Lecturer, York College) guides us through the ideas and the debate.